Young beautiful asian woman's portrait against grey wall. Beautiful young geisha girl, on grey background. Mysterious red geisha with a fan in hands. Modern style geisha in fetish kimono with umbrella, studio shot. 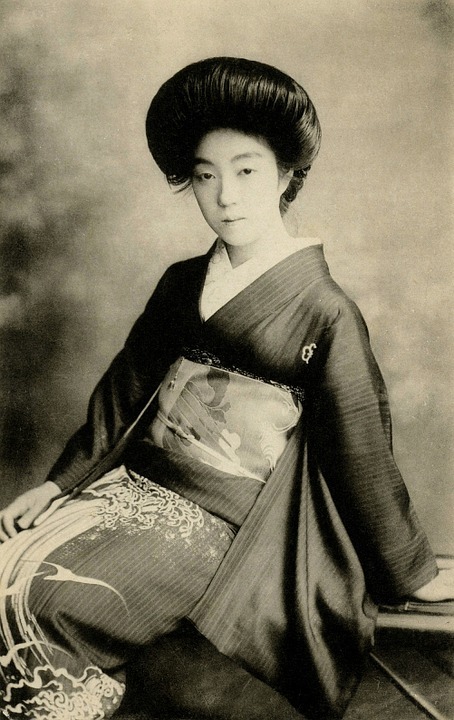 The image of a geisha. Portrait of beautiful Asian girl in red kimono and with red plump lips. Two geisha in studio. Young asian female with creative colorful makeup. Pop art style,wow, eps Beautiful Japanese lady, isolated on white background. Asian model with yellow lips and neck strip and creative hair. The beautiful girl with make-up of Japanese.